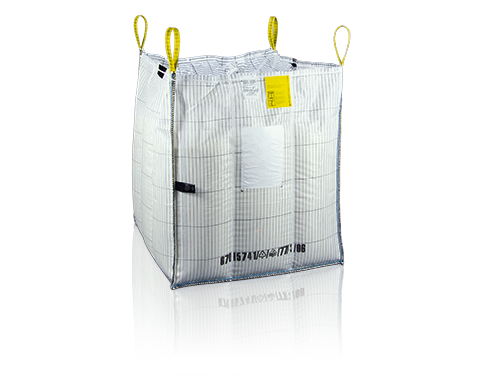 Dimensionally stable flexible intermediate bulk containers (FIBC) from the Quintainer® product series ensure optimal use of space and excellent stability when transporting and storing bulk materials. The stability of the Quintainer® is significantly increased by the shaping partition walls in a transverse and diagonal direction. Greater dimensional stability compared to conventional bulk material containers leads to significantly improved utilisation of space for transportation and storage. Quintainer® FIBCs are available for various types of pallets.